Got an old chair at home? Here's a fun and creative activity for you. 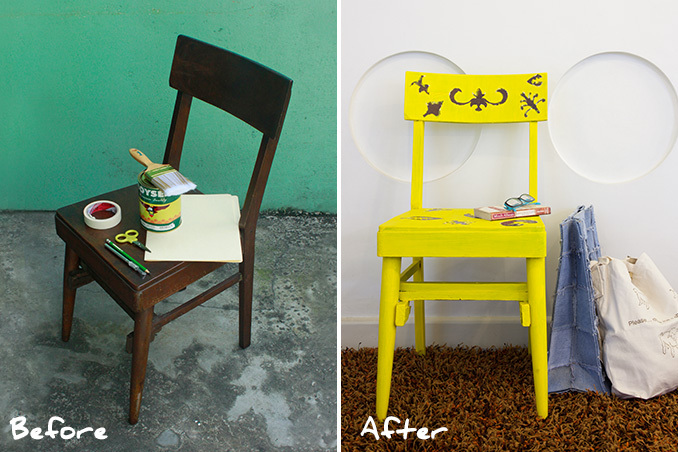 Give it a fresh new look by painting it and adding a couple of stencil patterns.